When it comes to selecting a duty holster, it is important to consider many aspects in mind, mostly related to safety and security. It is definitely not an easy task to find the best duty holster because it is something that you use during your duty as part of law enforcement. It should be safe, have great retention and while purchasing it should be ensured that you don’t end up shooting self. The comprehensive guide and review are to help you buy the best holsters you can use during duty. It is very important for a duty holster to have certain features and characteristics as it defines the integrity and rigidity of the holster. The holster should be secured, comfortable and good to use as they are regularly used by people in law duty. Here are certain things you must look for before buying duty holster. Level of Retention – It is one of the important aspects that should not be taken lightly. 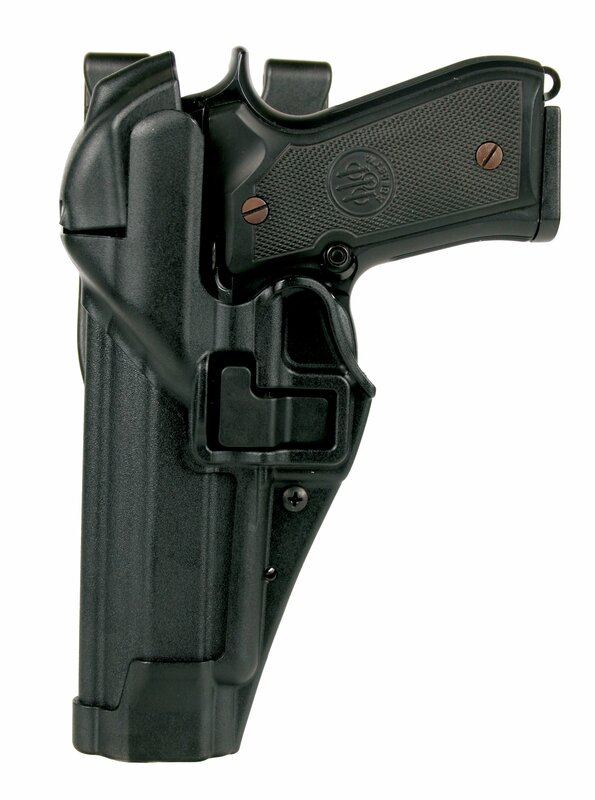 The level of retention defines the locking system in the holster. When it comes to Retention Level II it generally needs two locking devices and Retention Level III need three locking devices. If you are planning to purchase the guns for duty, it is better to go for Level II and III. Safety and Security – It is important to purchase a duty holster which provides maximum security for safety of the gun as well as the user. The gun should be secured within the holster but when it comes to safety, things are different. The holster should enable you to withdraw the gun during emergency easily despite the number of snaps, twists, switches, levers etc. Rise Level – The holsters are available either as mid, high or low rise or depending on your body structure and height; the holster should be purchased accordingly. The gun needs to be angles right which is why level of rise is important. Comfort – It is one thing that should never be compromised because being a duty holster, it will cling on to you for hours. It should be comfortable to wear on and made of durable material. Make sure you inspect the material and check the level of comfortable before investing money on the purchase. 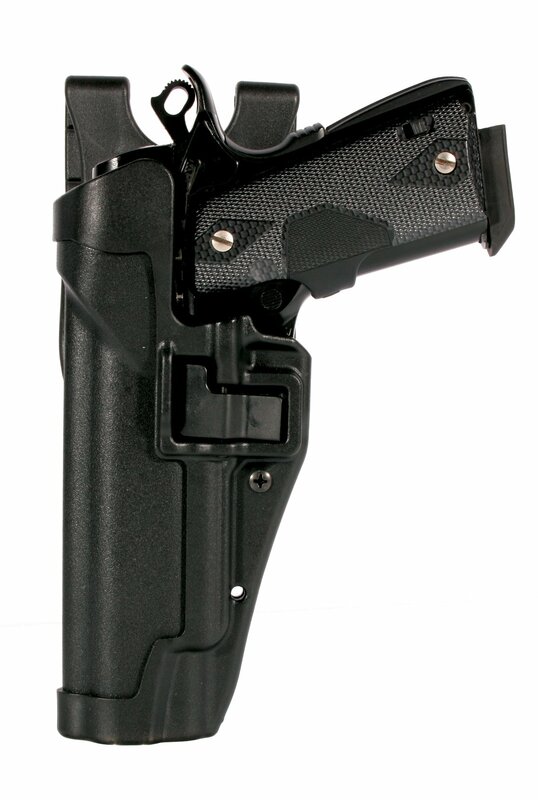 It is a sturdy and versatile duty holster with great retention that is perfect for use during duty. The holster is compatible with many different types of guns and the seat of the gun can be adjusted accordingly with a screw. It is inclusive of SERPA auto lock release, gives a great grip and enables efficient draw technique. When it comes to duty holster, safety and security of the gun is very important and the holster needs to be equipped with right features. It is compact, sturdy and boast of greater retention capacity. One of the major benefits of purchasing this holster is it is equipped with automatic and self-locking system ensuring maximum safety. It is compatible with multiple types of guns making it highly versatile. Made of superior thermal molded Safari Laminate and is durable enough to hold the gun firmly. The gun is a standard and great holster that is increasingly used by law enforcement and personnel. It is easy to upholster and get access to the gun through natural drawing motion and retention of gun is well taken care of. The holster ensures that the use of it for keeping the gun does not lead to any accidental snapping or shoot. It has the adjustable screw and the positioning of the gun can be placed in the holster through adjustable jacket slot belt loop. There are many different types of holsters in the market but when it comes to duty holster one needs to be very careful as it is carried around for longer hours. There are many duty holsters but finding the best duty holster is slightly tricky. The comprehensive review is to help you make your choice and find something that is right for you. 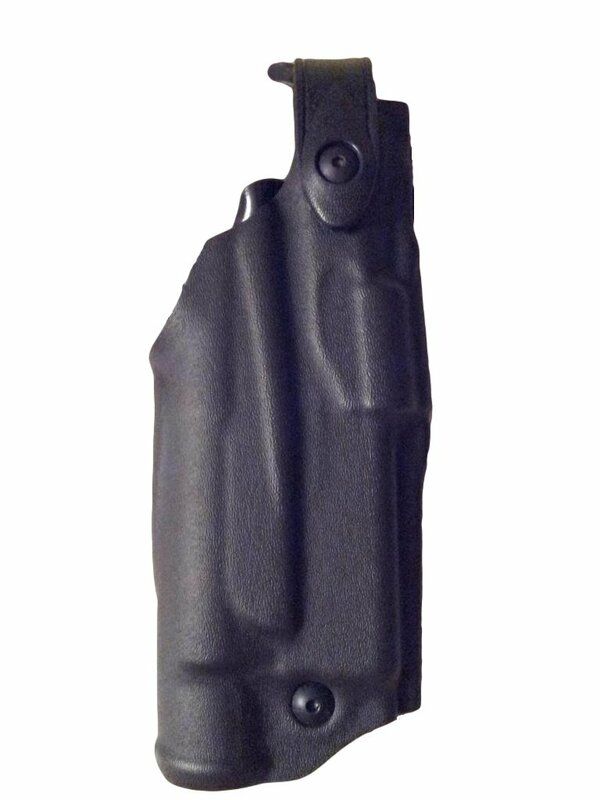 Out of the three products, Safariland 6360 Level 3 retention ALS Duty Holster is the best option has it is integrated with Level III Retention, is made of superior material and provides great grip. It is adjustable and suitable for use with many types of gun. The adjustable screw ensures the gun is neatly attached with utmost safety and security. The holster makes a great choice when it comes to use by law enforcement personnel.